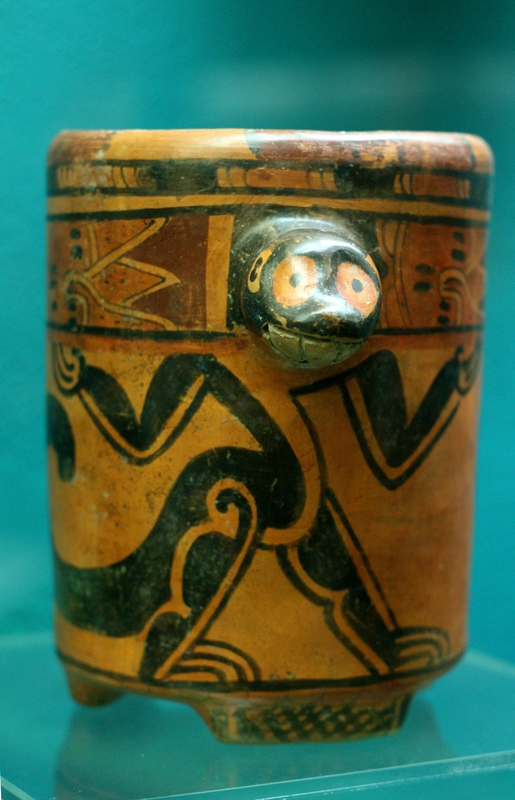 Guess why I thought of this spider monkey vessel? I think I know why you thought of the spider monkey =D was it because of my art piece? lol (Mr.Otero told me you really liked it, thank you!!!! )Some info about my piece, I think I made it when I was in the 10th grade and I was in love with pandas!! So Ms.Levine my art teacher told me it had to be combined with another animal or bug. SOOO I decided that it should be a panda head with a 4 legged bug body && BAM! there it happen…the birth of my panda bug ^_^ Its my first sculpture, now I'm working on a new one! Loving the panda bug and its crazy smile! Can't wait to see the next one!